Are you stressing over your upcoming move? Skip the headache and leave the hard work to Pronto Moving & Delivery Service, your partners in residential and commercial relocation. 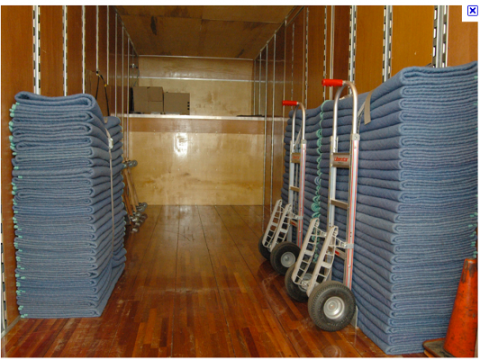 Along with comprehensive moving services, we offer private, temporary Santa Monica storage units. If you need to be out of your old space before your new home or business is ready, give us a call. We can quickly and carefully move your belongings to our secure facility. As a team that specializes in moving services, we strive to handle all of our clients’ furniture, equipment, and miscellaneous belongings with care. That care extends to large items that other companies may not cover, such as pianos. Feel free to let us know if you have any special instructions for storage in Los Angeles you would like us to follow. We will do our best to address these and any other concerns or questions you might have. Estimate: Our estimators analyze essential logistical aspects of your move. They will provide you with a free on-site quote and prepare our moving crew to get the job done right, regardless of size or complexity. Dispatch: When you are ready to move, we will dispatch a crew of professional movers with new, clean, and fully-equipped trucks to accomplish the tasks most effectively and efficiently. Inventory: We will inventory every item, noting its room location and the condition in which it was picked up. We make sure to provide you with a written copy of the inventory before proceeding to the next step. Pack: We carefully pack each item, paying special attention to its unique packing requirements. This helps us ensure that it returns to you in its original condition. Pickup: Our professional movers safely transport your carefully packed items to our storage facility. Storage Units: Our system, as well as our years of experience, enables us to take an otherwise cluttered mess and efficiently organize it into our Los Angeles storage units. Delivery: Our warehouse staff makes your items quickly and easily accessible to you. When it comes time for the items to be delivered, we can handle that for you as well. Your belongings are quickly and easily accessible when you utilize our storage. When you are ready to retrieve them, let us know. We offer pickup and delivery services and can deliver your items to your home or business at the time you specify, ready to unload. Contact us today to find out more about our moving and storage services.